FULLY FURNISHED AND UNDER MARKET VALUE! 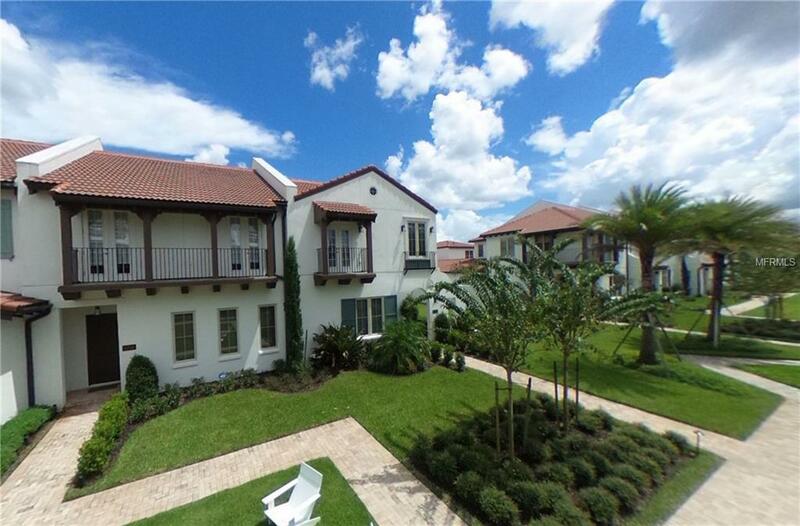 Luxurious Townhome with Pool in the exclusive Toll Brothers community of Lakeshore in Winter Garden. The unit features an entry foyer adjacent to an expansive great room, the open floor plan takes you to the dining area and oversized gourmet kitchen that features a large center island, breakfast bar and gorgeous solid wood 42 cabinets in a beautiful grey color with the clean and modern look of quartz countertops. The kitchen comes equipped with stainless steel appliances, gas cooktop, large refrigerator and KitchenAid wine cooler. You will love the beautiful wood plank look ceramic tile flooring throughout the first floor. This elegant and unique townhome includes a private splash pool and courtyard that leads to the detached 2 car garage. On the second floor you will have the Master Room with a spacious master bath featuring garden tub, double sink and separate shower stall with frameless glass enclosure and walking closet. The two additional bedrooms will share an also luxurious bath with grey cabinets, double sink and quartz countertop as well. Two NEST Thermostats, high-end security system with cameras and two additional RING CAMERAS are included as a bonus on this priced to sell townhome.This Resort Style Community is only 10 minutes away from major tourist attraction and features a huge club house with enchanting lake views, gathering room, catering kitchen, fitness center, resort-style pool, kayaking and paddle boarding. Come see it today!